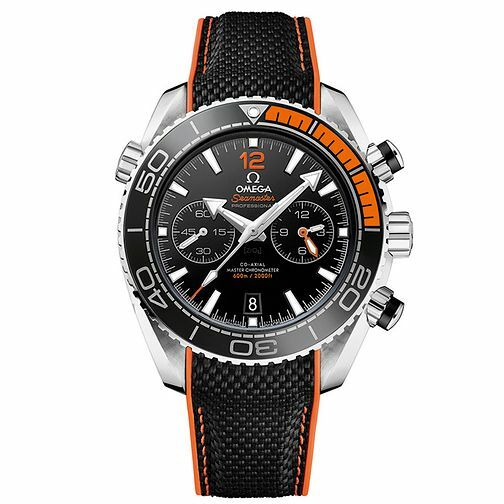 Omega Seamaster Planet Ocean 600m men's strap watch featuring self winding chronograph movement, Co-Axial Escapement, black dial with orange markers and bezel. A contemporary men's design combined with Swiss Made quality. Omega Seamaster Planet Ocean 600m Men's Strap Watch is rated 5.0 out of 5 by 1. Rated 5 out of 5 by Anonymous from Stunning Watch A stunning looking watch - great design and functionality, exactly what you'd expect from Omega. Order process and delivery were excellent, would highly recommend this great watch.